Publishers note: This post is one of our oldest, and definitely our most popular. This Christmas season, we decided to move it up to the Home Page for a very short while. We have also refitted the post to reflect our more expansive technology in regards to galleries. Also on a more juvenile point, my apologies in advance to some of you because of the Helga nudes. When it comes to Wyeth, we cast all caution to the wind, so if you tend to be a bit prudish, you might want to refrain from scrutinizing this post. Probably somewhere in between is the best answer. For all who are not familiar with Wyeth and his Helga Series, I shall endeavor to explain it simply as 240 pieces of work (mostly water color studies, some spontaneous sketch studies in monochromatic mediums and a smaller number of finished egg tempera canvases) of one woman, Helga Testorf, that were made between 1971 and 1985. 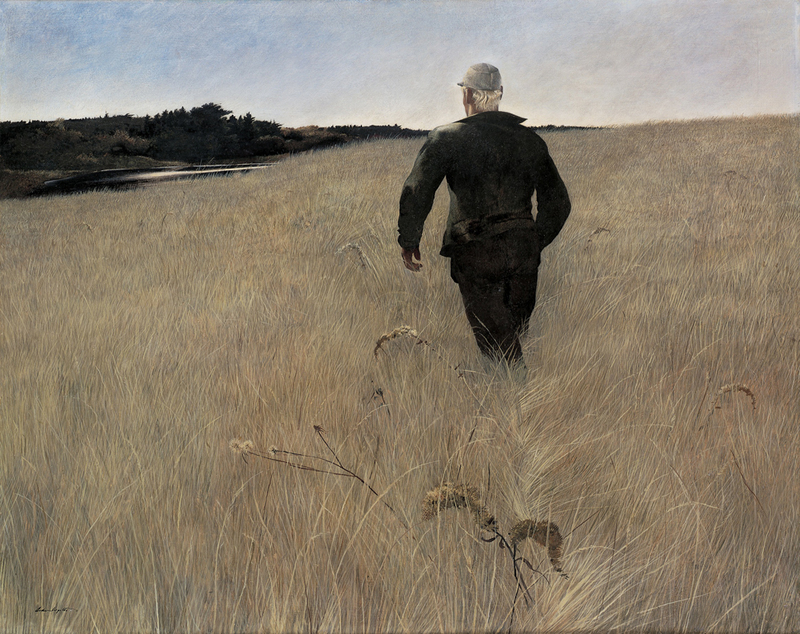 Andrew Wyeth had met Helga as a young 32 year old woman, when she helped as a caregiver for another one of Wyeth's favorite subjects, Karl Kuerner. Mr Kuerner was the subject of one of Wyeth's best works, Karl (portrait of Karl Kuerner). Helga, like her employer Karl Kuerner, was of German descent. Helga immigrated to the United States and Chadds Ford, Pennsylvania in 1961, eventually became a mother and homemaker before becoming Karl's caregiver. Due to her association with Mr. Wyeth, she eventually developed an keen interest in poetry and art. 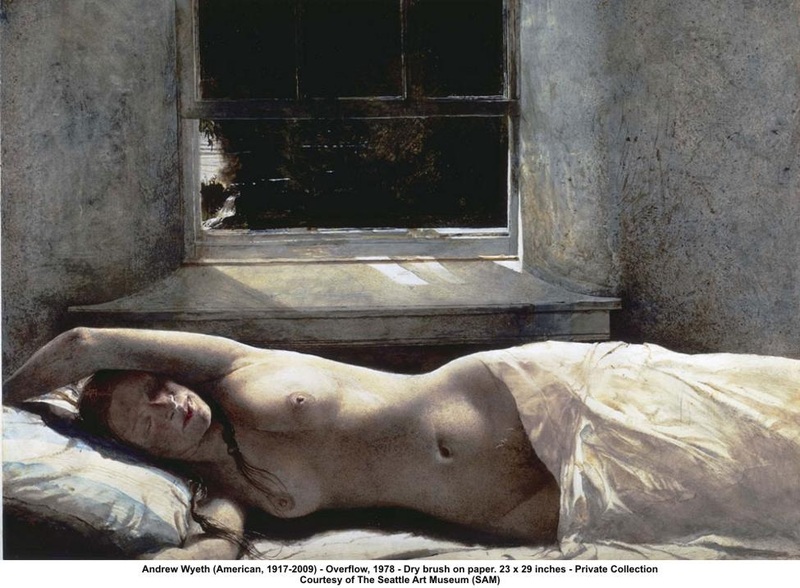 Before Andrew Wyeth's death, Helga was one of the ailing artist's primary caregivers. Why Andrew Wyeth became infatuated with this Pennsylvania Fraulein is unclear, other than he obviously found her a fascinating subject. 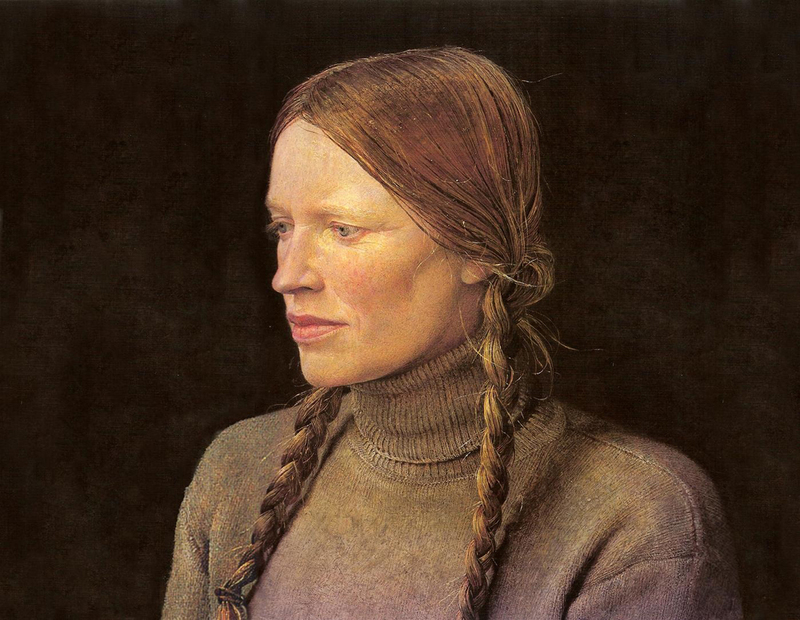 Some hypothesized that it was her reddish blonde hair that set the tone for this series of renderings by the enigmatic artist that drew Wyeth to concentrate so much time and effort on the interpretation of this woman's visage and the ego within. Her chiseled features, her supple form, her pensive stare and ultimately, Helga's innate devotion to the process could have given the great artist the insatiable purpose to slavishly devote so much of his creative energies to one subject. Some folks; however, luridly speculated that Helga's alluring visage engendered a passionate affair between she and the doting artist. For those who considered an affair was afoot, Andrew Wyeth's wife Betsy did not disappoint. Betsy, his wife of many decades and who was also his business manager, is said to have let rumor run unabated until she sold the entire series to Leonard E. B. Andrews in 1986. It has been estimated that the series sold well in excess of over six million dollars. She then denied that the scathing rumor was true, and was convincing to the point of plausibility. 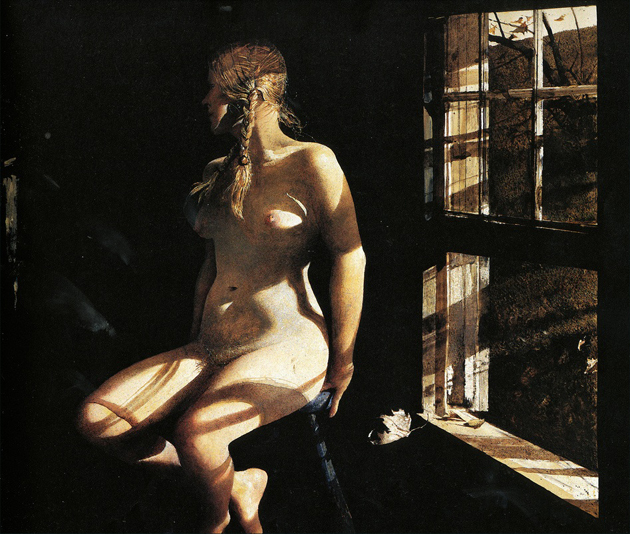 Today the rumor is not the subject, but rather Andrew Wyeth's profound artistry within the Helga series. Shortly after purchasing the series, Mr. Andrews did allow the National Gallery of Art to organize a national tour of the entire collection that traversed the nation to show at some of the more prominent galleries between 1987 to 1989. It could well be the last time this collection will ever be seen again in its entirety. I was fortunate in having the opportunity to see the show at the National Museum of Art in Washington, DC. It was an inspiring show in its enormity, and its rich earthy tones were so reminiscent of the great painter's best work; however, some of the spark that was inherit in much his best early work was missing for me. For me, I grew tired of the sameness of the subject and I longed for the weathered boats and buildings, the fields of tall brown winter grasses and the subjects that were just part of the bleakness that was inherent in each of his canvasses. Since that last hurrah, Mr. Andrews has broken up the collection, with much of the series purchased for a large sum of money by an anonymous Japanese collector. Fortunately today, there are many of these works from the original collection being shown in museums and art houses around the world. Although the Helga collection will probably never again be assembled in its former state of togetherness, we will always have the many fractured pieces of the Helga series as a representation of a time in Andrew Wyeth's life when he obviously needed inspiration to create. And if it took his infatuation with Karl's caregiver, Helga Testorf, to be that inspiration so be it. 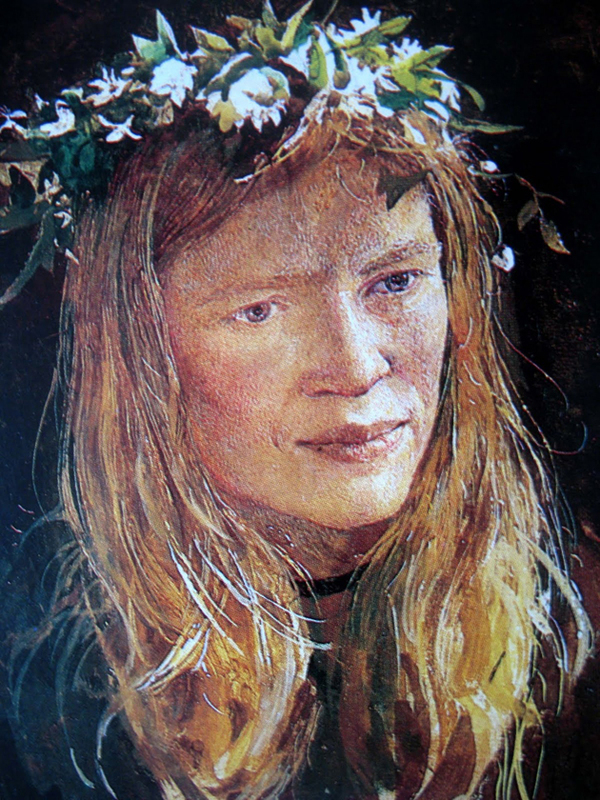 The world will always be a better one because of the creativity of Andrew Wyeth, and the Helga series will be yet another chapter in his well spun tale. Publisher's note: We leave you here below with a number of Andrew Wyeth's more intimate portraits of his favorite subject - Helga Testorf. These are galleries, so you will need to click to enlarge as instructed. 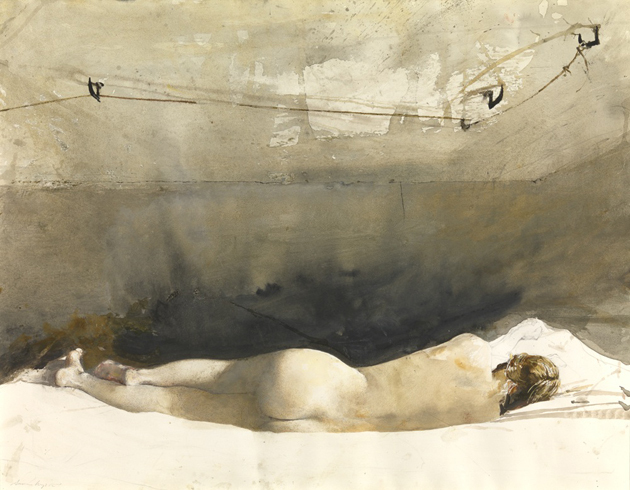 Andrew Wyeth's Helga series: Above and below. Click the image to expand. 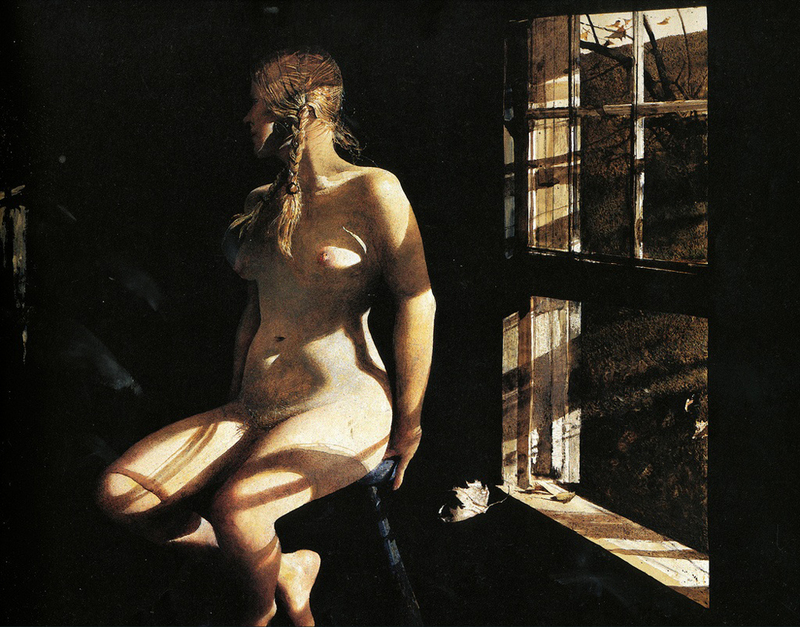 Andrew Wyeth's Helga series: Above. Andrew Wyeth's Turkey Pond: Below. Notice similarity of palette. Click the image to expand.